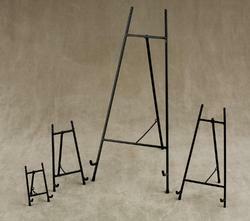 We are a leading manufacturer and exporter of Metal Floor Easel. This easel is manufactured using high quality raw materials and advanced techniques by our experts. The offered range is extremely appreciated by our clients due to its sturdy construction, precise design and durability. Further, this product is offered to our valuable clients at very affordable prices within given period of time. We hold expertise to manufacture and export Metal Easel. Designed with utmost precision using superior quality raw materials and latest technology, this easel is manufactured under the supervision of skilled professionals. The offered range is widely recognized among clients for its optimum quality, durability and fine finish. Available in different specifications, we offer this range to the clients at industry leading prices. 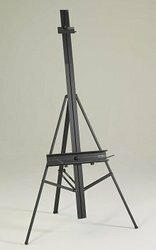 Looking for Metal Easel ?